Need more information about booking Home 7015276 ? 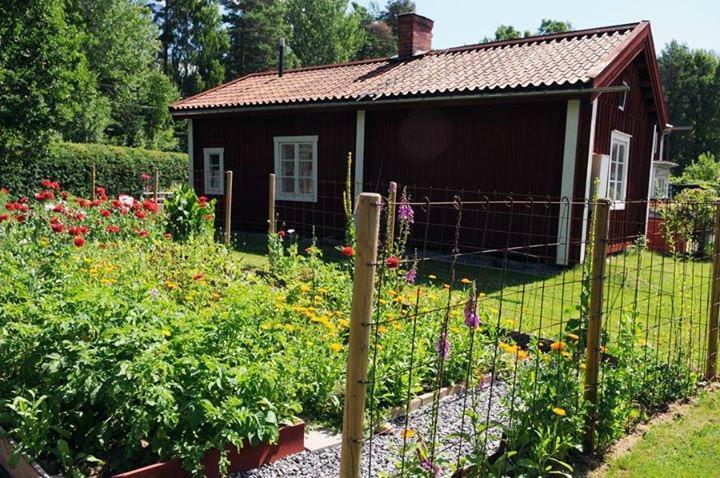 Stay in a nyrustad red cottage right on the mountain bike trails in the Pershyttan. It is one of the few preserved miners in the mining village and was built in the early 1800s. The cottage offers accommodation for up to four people, with the possibility to cook both on the wood stove and hot plate, or outdoors in the lush garden. There are toilet (composting toilet) in the cottage, an outdoor shower with hot water, a large sauna and shower in a separate house. NOTE! The cabin has no running water. As a cyclist or hiker, right by the mountain bike trails and hiking trails. The cabin is certified according to the requirements for bicycle-friendly accommodation. It is located 1 km from the hiking trail Bergslagsleden and sights of Pershyttan. For trail-runner it is a paradise with miles and miles of signposted trails. About 2 km to the supermarket. There are several swimming and fishing lakes to choose from and it is 1 km to the nearest lake with pier. To the bike, on foot or by car. 2.5 km from the bus stop. Estimated price per night based on a weekly stay. Owner fees of $27.00 per stay may apply. Enter your dates to see the total cost.